Organise, manage, promote and measure your event and conference with In2Events delegate registration services. From our online registration system and full delegate management service, to our event day registration and badging facilities - we work alongside you to provide a complete and creative solution that makes running your events easier and saves you time and money. We provide total delegate management for your event. From initial invitations and planning right through to post-event follow up. 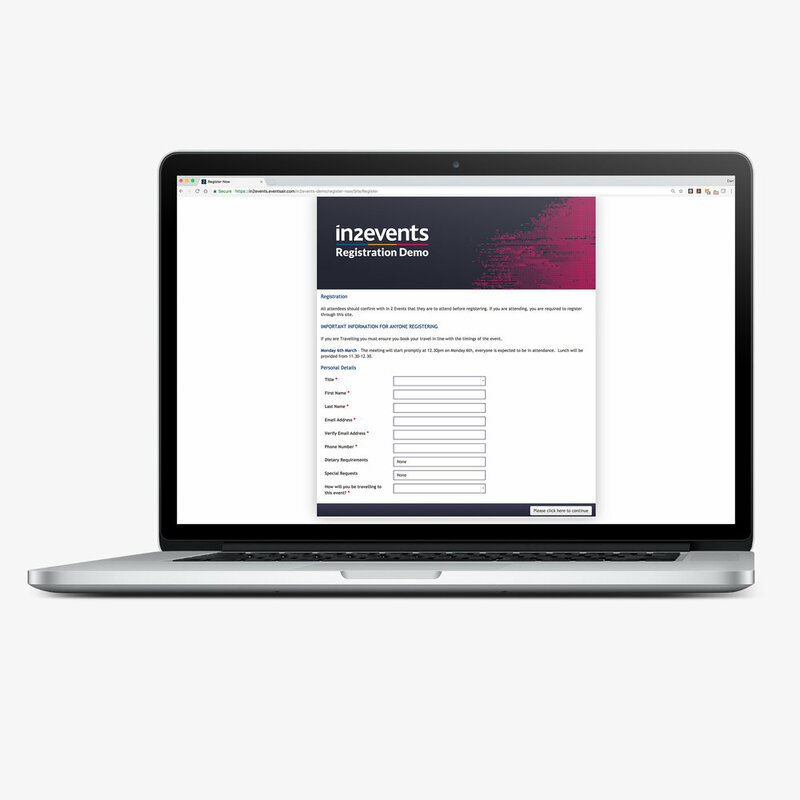 Create a fully tailored events website and integrated customisable registration form with any number and type of questions for a completely flexible registration solution. The In2Events online registration system will also allow you to send bespoke/branded email confirmations and access to a 24/7 online reporting module to guarantee a positive registration process from start to end. Complete with integrated customisable registration form with unlimited question types to easily collect the information you need. Send automated registration confirmations, reconfirming everything they have selected. Control every aspect of your event in real-time, whilst being able to see the exact information you need. Monitor registrations and communicate with delegates quickly and efficiently through our online reporting portal.